Lesser purple emperor butterfly. 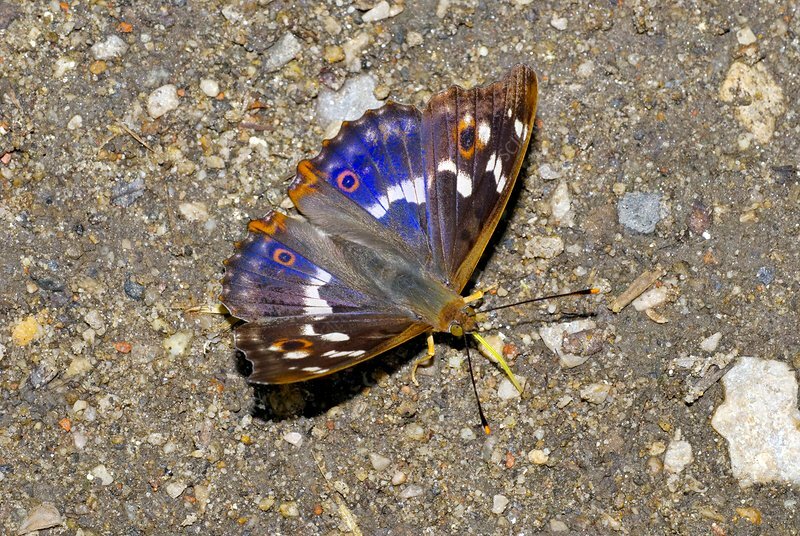 Lesser purple emperor (Apatura ilia) drinking from wet sand on the ground with its wings closed. This butterfly is native to most of Europe and Asia. Photographed in Poland.